The visit is also aimed at showcasing India’s ship building capability, long sustenance and global reach of the Indian Navy. Visakhapatnam: To commemorate the 25th anniversary of India–ASEAN dialogue and in consonance with India’s ‘Act East’ policy, Indian Navy Ship Kadmatt arrived at Sihanoukville for a three-day visit to Cambodia. The visit is also aimed at showcasing India’s ship building capability, long sustenance and global reach of the Indian Navy. INS Kadmatt, an anti-submarine warfare corvette has been deployed in the region since early September 2017 and is visiting Cambodia on completion of the ASEAN IFR held at Pataya, Thailland last week. 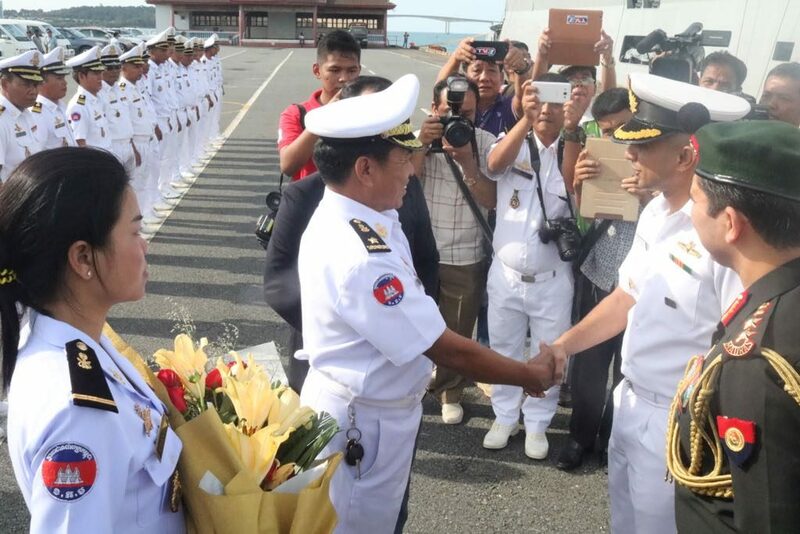 During the ship’s stay at Sihanoukville, the Commanding Officer will call on several high ranking officers of Royal Cambodian Navy. In addition to training capsule for Cambodia Naval personnel being conducted onboard the ship, sports activities between the navies to build bonhomie will also be undertaken. The ship will also take part in a Passage Exercise (PASSEX) with ships of the Royal Cambodian Navy on her departure from Sihanoukville, according to a spokesman of the Navy here on Friday. India and Cambodia share historical ties and India has supported the development of Cambodia through various initiatives starting with the establishment of a embassy in 1981. The current visit is expected to enhance and strengthen the mutual relationship between the two nations and promotes closer cooperation, building trust and confidence between both navies to promote peace and stability in the maritime region.